Nokia has officially announced the launch of its new Nokia N97 Mini, which powered by a new Ovi Maps experience that makes searching, finding and navigating even easier, featuring 5 megapixel Carl Zeiss camera with dual LED flash, tilting 3.2-inch (640 x 360 pixels) touch display with fully customizable homescreen, full QWERTY keyboard, A-GPS, 8GB internal memory and microSD expansion slot. 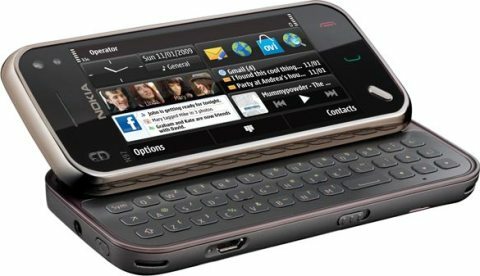 According to Nokia, Lifecasting with Ovi application allows users to publish their location and status updates directly to their Facebook account from the home screen of Nokia N97 Mini, aiming to provide users a truly personal Internet experience. The new Nokia N97 mini which measures 113 x 52.5 x 14.2mm and weighs in at 138 grams will be available in coming October for about EUR 450.